This system is very beneficial in areas where there is high risk for humans to enter. 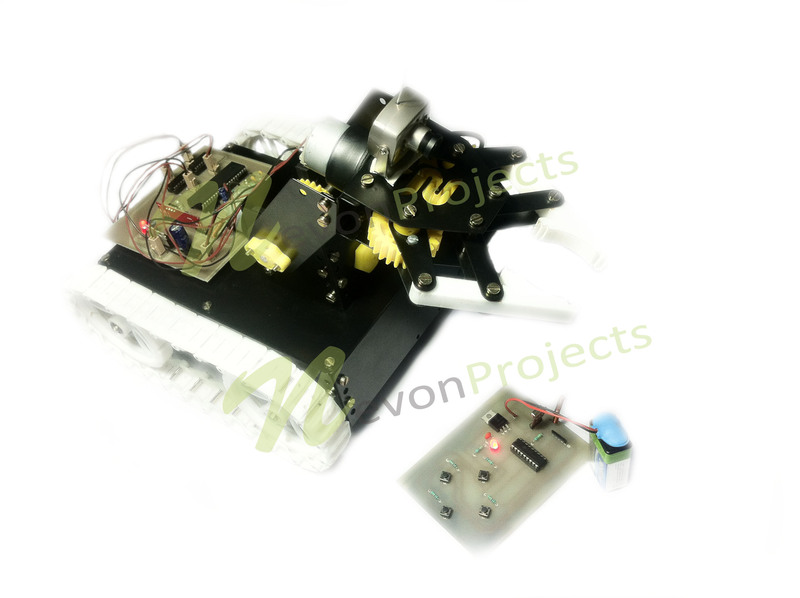 This system makes use of robotic arm as well as robotic vehicle which helps not only to enter an area involving high risk but also to pick whatever object it wants to. The system also includes night vision camera which will not only allow viewing whatever will be recorded in day time but also during night. 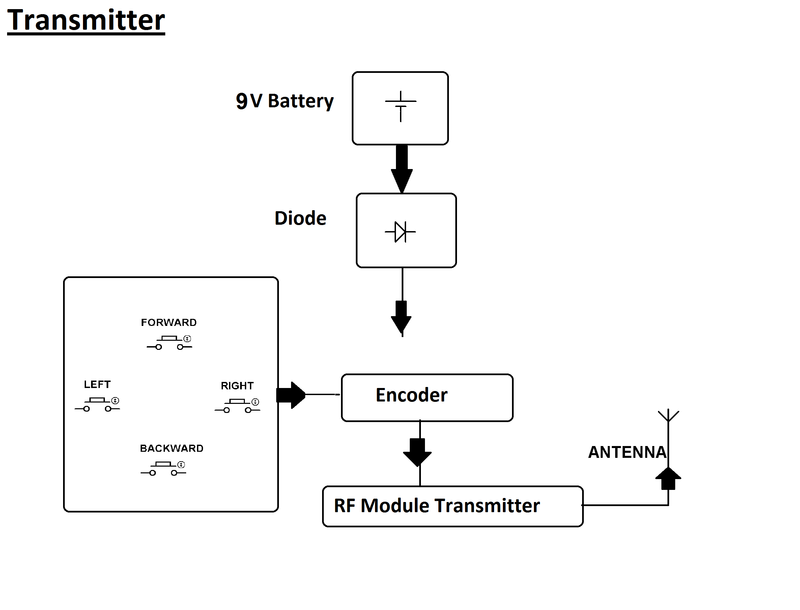 The whole system is controlled via RF remote. The system sends commands to the receiving circuit mounted on the vehicle through push buttons. 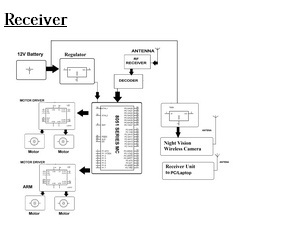 The receiving circuit involves 8051 microcontroller and a receiver which receives commands sent by the transmitting circuit. 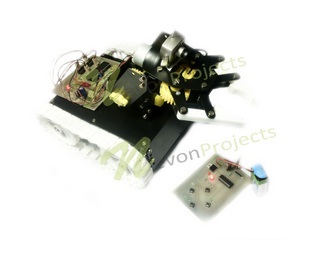 At first the system is set to control the movement of vehicle. 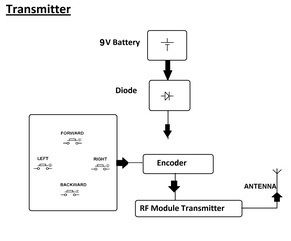 In order to set the system in a mode that operates the arm. At first the user needs to press the push buttons for moving the vehicle in whichever direction it wants i.e. forward, backward, right or left direction. In order to make the arm movement, the user needs to long press the forward and backward push buttons. 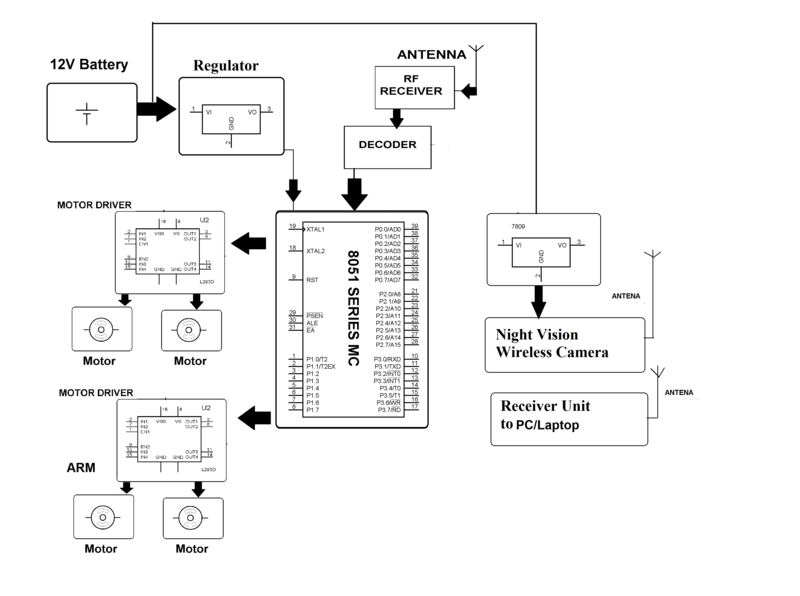 Thus this system makes use of camera, robotic arm and robotic vehicle to enter a high risk involving area and also to pick, move and drop an object as well as record the place wherever the system goes and later view it for future reference.